There is a horror slasher to go with almost every holiday, and while there are more than enough killers who attack on Christmas, there has never been anything like Hanukkah: The Movie, an awesome new project that is currently in the crowdfunding stage and needs your help to become reality. The majority of pre-production costs have already been handled and, if the filmmakers meet their crowdfunding goal, the film will premiere on Saturday, December 1, 2018, the night before Hanukkah. 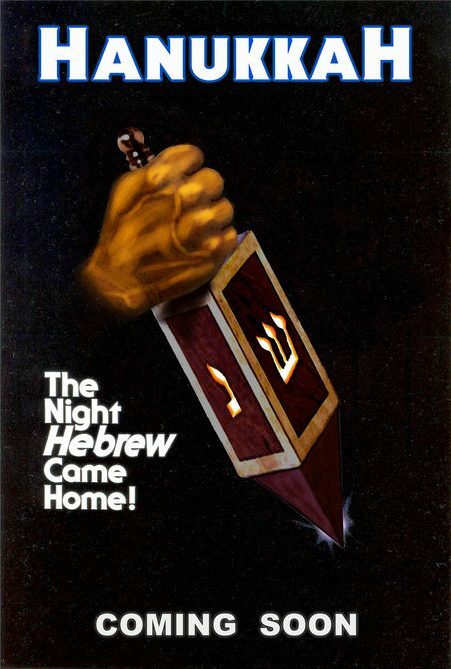 With the tagline of “Jason can have them on Friday… Obediah will be observing the Sabbath,” here’s the official synopsis: Obediah Lazarus is the son of Judah Lazarus, the original Hanukkiller. In 1983 Judah terrorized New York for seven nights and was preparing to sacrifice his eight-year-old son, Obediah, on the eighth night. Judah was convinced it was God’s will, like Abraham and Isaac, to sacrifice his only son to God. Luckily for Obediah, police tracked Judah down and stopped the sacrifice, but Judah was gunned down in the process. Warped by hatred with no guidance, Obediah Lazarus becomes a religious extremist, intolerant of non-Jews, “bad Jews”, and those he perceives to be enemies of the Jewish faith. He is about to unleash eight nights of horror. Hanukkah is written and will be directed by Eben McGarr, starring genre favorite Nick Principe (Tales of Halloween, Laid to Rest, Chromeskull: Laid to Rest 2). This is obviously a movie that needs to be made, and we are happy to throw our support behind it. Bring on the Hanukiller! To lend your support to the crowdfunding campaign in exchange for some killer perks, you can visit the official Indiegogo page here. You can check out an official teaser trailer for Hanukkah: The Movie and some hilarious promo posters inspired by the Halloween franchise below.